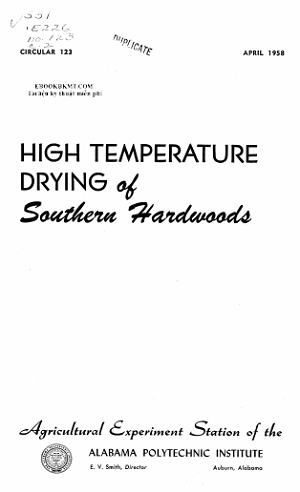 THE IDEA Of drying lumber at temperatures above the boiling point of water has intrigued lumbermen for years. Since World War II there has been a renewed interest in this subject, stimu-lated largely by successful applications in Europe and encourag-ing research results with Canadian woods. The effectiveness of high temperature drying in reduc-ing the hygroscopicity of wood was also to be evaluated.